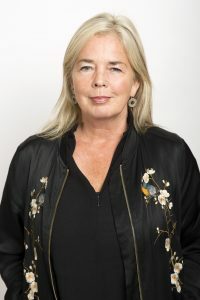 One of Ireland’s leading female vocalists and singer songwriters, Leslie Dowdall, first came to prominence with In Tua Nua, who fused celtic tradition with rock. With Leslie as lead vocalist, In Tua Nua recorded four albums and, over a seven-year period, played and toured with bands including: U2, Simple Minds, Bob Dylan, and The Pretenders. They headlined tours in the USA, Holland, Italy, Germany, as well as in the UK and Ireland. Leslie has also enjoyed critical acclaim as a solo artist with two CD projects. The first, No Guilt No Guile, featured the hit single Wonderful Thing,and the second, Out There also featured the hit single Freedom and a stunning version of the Jimi Hendrix classic Angel. Her composition and chart hit Wonderful Thing, with string arrangement by Fiachra Trench, featured as the theme anthem for the RTE National Lottery TV commercial and National Daffodil Day. Leslie was voted Best Female Artist at the Heineken Hotpress Awards in 1997. She was lead vocalist on Ronan Hardiman’s Lord of The Dance creator albums, Anthem and Solas and in 1999 she featured in a series of Beatles tribute concerts conducted by Sir George Martin in The National Concert Hall, Dublin. Leslie supported Paul Brady on his epic 23 date gigs at Vicar Street, which also included guests such as Bonnie Raitt and Van Morrison. She also features on Paul Brady’s album Songbook and live DVD. Leslie has worked in various areas of TV including: drama, music videos and live TV. In addition, she has presented an eclectic mix of music in a six part series on RTE Radio 1 titled ‘Songs for the Tempted’. In the autumnof 2007 she also presented “The Whoseday Club” on RTE Radio 1. Continuing to work on her Education workshop project Songcraft,Leslie teaches performance and singing skills to young, aspiring artists. In 2009/2010 she set up Summer School Of Rock with fellow musicians Dave Hingerty (Frames) and Conor Brady (Gerry Fish and the Mudbug Club).In 2009 Leslie began a collaboration of writing and performing with Mike Hanrahan (ex Stocktons Wing). Alongside her performing career Leslie has much experience working with young people through delivering programmes on song writing and performing skills with Songschool. As part of the Music Generation Wicklow team Leslie delivers vocal and Foundation Music programmes to children in many school settings.